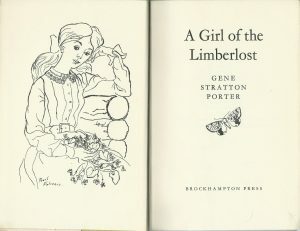 When I was fifteen, my mother gave me Gene Stratton Porter’s A Girl of the Limberlost for Christmas. It was a book she’d loved as a child and she thought I might like it, too. 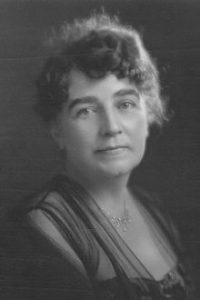 First published in 1909, it was republished sixty-one times, and, by the time the author died in 1924, more than 10 million copies of her various books had been sold. A Girl of the Limberlost was also turned into a Silent Film. So, who was this prolific author? 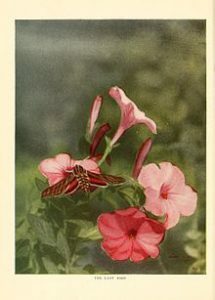 Geneva Grace Stratton Porter (1863-1924) was born into a farming family in Wabash County, Indiana, and grew up near the Limberlost swamp, a huge wetlands area known for its rich flora and fauna and home to migrating birds and rare insects, particularly moths. But by the early 20th century, it had been drained almost completely for agricultural development. 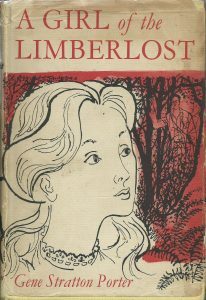 A Girl of the Limberlost is, in a way, Stratton Porter’s threnody for its loss. She was also a Nature photographer and wrote numerous articles on Natural History, as well as being a popular novelist whose books were translated into many languages. She was ahead of her time in her concern for Conservation, and her novels have three- dimensional characters with proactive heroines who go out and do things. The heroine, Elnora Comstock, lives with her cold, unloving mother, who cannot forgive her daughter for (inadvertently) causing her husband’s death – he drowned in quicksand in the swamp while Mrs Comstock was giving birth. Elnora is intelligent, talented and hard-working. 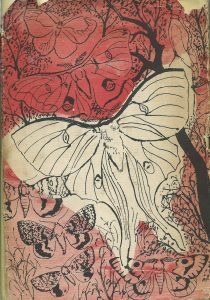 She loves the swamp, especially its moths, and sets out to make enough money to support herself through high school by selling specimens to collectors – an activity she keeps hidden from her unsympathetic mother. The story is very much a journey of self-discovery, not only for Elnora, who has her mettle thoroughly tested – as every heroine should – but also for her mother. Mrs Comstock is cold and bitter, and she behaves towards Elnora with a callous lack of sympathy, but her saving grace is her honesty and a certain caustic wit. She, too, has things to learn. I think Olive Jones has done an excellent job. It took her two years to edit and was obviously a labour of love. As an author myself I know that every author needs a sympathetic and skilful editor. It’s still quite a long book but I can’t imagine it being bettered And Pearl Falconer’s cover design and frontispiece complements the book perfectly. It’s also, I think, an unusual book for its time. Mrs Comstock is no Marmee; she’s pretty horrible, and we want her to get her comeuppance. Elnora has to fight her every inch of the way. I’m very grateful to my mother for giving it to me that Christmas. It was a perfect present for an imaginative teenager. How interesting, Elizabeth. Never heard of her before, and always good to hear of forgotten authors. It sounds like a good story and your love of it clearly demonstrates it’s quality. Might have to go looking for this one. Thank you for your comment, Elizabeth. Actually, there are a lot of Gene Stratton Porter fans out there. There is a Gene Stratton Porter Society. They have bought one of the houses she lived in as a memorial to her life and work. And about 1500 acres of the Limberlost have now been restored as an important wetlands area, and the birds, flowers and insects etc. have returned.